Abigail (who came in with her brother Huxley) is a Fuzzy puppy available for adoption as of Sunday, July 19th. We think the Mom is Shelly. Puppy adopters need to be a stay at home or work from home family or alternating schedules as pups need time, attention, and training. Families with children 12 and under require a fenced in yard so the pup can play off leash with the children and be safe. The terrier breed is not generally recommended for young children so please read up on the Airedale breed as they could be Airedale or Irish Terrier. 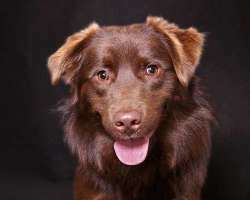 Barnaby is a young Retriever mix who is looking for a great home. He is a super sweet and playful pup but a sensitive fellow. He was rescued with an embedded chain in his neck. The pictures are too horrific to show. He needs an understanding and very loving home. We haven't seen any behaviors that would alarm us from this pup who was so abused, he is very friendly to people and other dogs. He is playful and likes to cuddle. Will be at our Meet and Greets Tuesday 3-6 and Weekends, 12-3 pm. Barney is a 6 month old hound mix puppy. He is very sweet and loves to play. He loves kids and people, and he does great with other dogs. Weighs 20 lbs. Puppy adopters need to be a stay at home or work from home family or alternating schedules as pups need time, attention, and training. Families with children 12 and under require a fenced in yard so the pup can play off leash with the children and be safe. Please read our literature on the harmful effects of pediatric spaying and neutering. 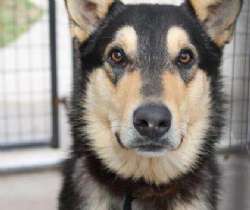 He will be available to meet by private appointment or by stopping in during our meet and greet hours (Sat/Sun 12-3 PM). Location: 604 Boston Post Rd, Sudbury MA. 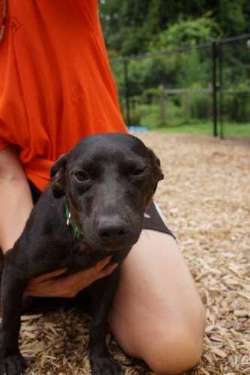 Batman is a one year old Dachshund mix who loves everyone. He is very sweet. Good with other dogs and loves people. Housebroken and crate trained. Loves to snuggle with you on the sofa and loves to get under the blankets. Minds well and perfect on a leash and is good in the car. Weighs 10 lbs. 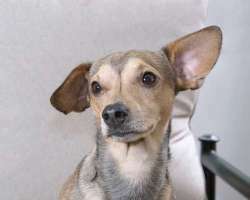 Batman is good with other dogs and gets along great with the other little dogs in the foster home. Now that he's feeling better he just wants to play all day! He will be at Sunday's meet and greet. Benny is a little 5 month old pup who weighs 14 lbs. He is adorable and playful. He has short legs and a longer body. He loves to play with other pups. He sleeps through the night in his crate with no accidents. He plays nicely with the other dog in the foster household. He is also good with kids, 8 years and older would be good as he still needs some puppy training. He is from St. Croix and he was transported here with a vacationer who has a heart for dogs and gave him a lift to Save A Dog where he has a chance at adoption. He will be at the Meet Greets Tuesday and the weekend this week. Apply online at Saveadog.org. BOSS FOUND A HOME! 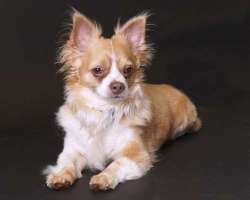 Boss is a 5 yr old neutered male long haired chihuahua who needs his own person. He is shy at first, but once he knows you he is the most amazing dog. He likes to sleep under the covers at night. He doesn't chew, doesn't mark or anything, is totally housebroken. He is great with other dogs and is currently fostered with 3 other small dogs. He is sweet and minds well. Boss came from a chaotic home so when he first came into our shelter he was terrified and was difficult to interact with. Once he knew he was in good hands, then he turned into an affectionate and cuddly little dog. He's very good on a leash. He weighs 10 lbs. Because of the past chaos in his life we would like a quiet home, visiting kids are fine. Please fill out our online application at www.saveadog.org. Private appointments preferred as he's in a foster home. He can be brought to the shelter to meet you once we receive and review your application. He's going to make an awesome little pal for someone. He could go with a single working person and would be fine lasting up to 5-6 hours alone. 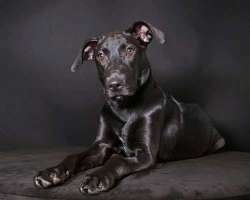 Brownie is a 1 year old Chocolate lab/Bassett mix. Very sweet and playful. Does great with other dogs and loves people. Very friendly. Weighs 20-25 lbs. She is very small. She will chase a ball. She was spayed July 8. Chantelle is a stunningly beautiful pup! She is so very sweet. She loves to play with other dogs and with toys but has a calm nature. She 13-15 weeks old, weighs about 15-20 lbs. Mom, Pearl, is only 35 lbs but the puppies could be bigger. Families with kids it's best to have a fenced in yard or fencing in the future so that they will get adequate exercise. Because these pups are so young, we prefer stay at home/work from home/or alternate schedule families, so the pups get all the socialization and training they need at this age. Come in , Tuesday 3-6 or Saturday or Sunday 12-3 to meet this young girl. 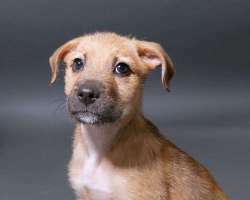 Charlotte is a 3 month old mixed breed pup who came in with a litter of puppies. She is available for adoption as of Sunday, July 19th. Puppy adopters need to be a stay at home or work from home family or alternating schedules as pups need time, attention, and training. Families with children 12 and under require a fenced in yard so the pup can play off leash with the children and be safe. 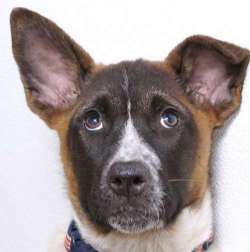 Dasher is a 4 month old male Cattle Dog mix. His mama is Pearl and his Dad must have been large as he's 20 lbs already. His siblings came a few weeks ago and have all been adopted. He is a very sweet pup with a very calm personality. 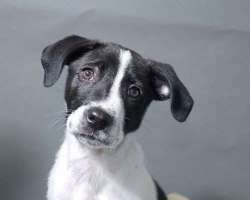 Evie is a 4 month old Lab/Collie/Catahoula (we're guessing) mix pup who came up with a lot of puppies from Indiana. 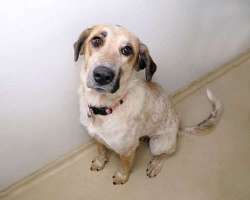 She has the two-colored eye of the Catahoula breed. She is available for adoption as of Sunday, July 19th. Puppy adopters need to be a stay at home or work from home family or alternating schedules as pups need time, attention, and training. Families with children 12 and under require a fenced in yard so the pup can play off leash with the children and be safe. Meet Foxy -- a 2 year old spayed mixed breed dog. Her foster Dad says she is the smartest dog they've ever fostered! She is housebroken and very sweet. She is the quietest dog too. Not a peep out of her. She loves all people and kids, even infants, although can be excited and jumpy, she is learning her manners fast. She is just so happy to see you! She is playful, strong, energetic and friendly and loves toys. She will throw her toys up in the air to entertain herself. 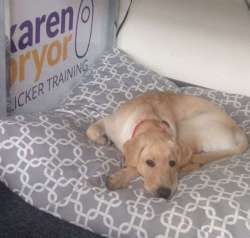 She knows sit and loves to learn -- she would do great in training class and sports. Foxy weighs 40 lbs. She reminds our volunteers of a beautiful fox, hence the name. She is good with other dogs. 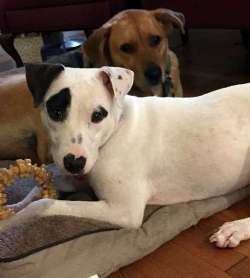 Her foster mom says she is a dream dog and is eager to please. She loves to sleep in bed with you if you let her. She listens well and is just a lot of fun and is very affectionate. 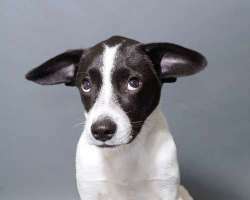 Please fill out our online application at www.saveadog.org. Harper is a petite 12 lb. Beagle who is as sweet as can be. She is playful ad loves everyone. She looks like a little 'pocket Beagle' so sweet and cute! She is a friendly happy dog. She's already spayed and will be ready to be seen on 6/30/15 at Save A Dog, 604 Boston Post Rd, Sudbury MA. Apply at www.saveadog.org. SHE WILL NOT BE HERE JULY 4TH WEEKEND. HARRY IS ADOPTED. 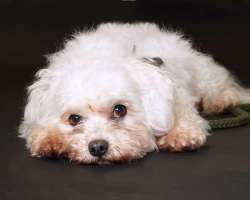 Harry is an adorable 3-4 year old Malti-poo who is looking for a great home. He is a local stray who was seen being thrown from a car at a play ground. There was another dog in the car so we think he lived with another dog. Once he knows you he talks to you. He is very smart and sweet. Non-shedding. Best no kids as we have no history. He's neutered. Harry is being treated for pneumonia and will not be at the shelter for showings. We are working with several private applicants. Donations warmly accepted for this little guy. 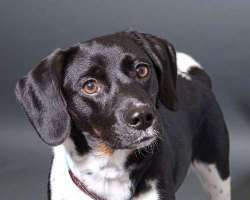 Jenae is a beautiful little one year old female dog, sweet as can be, very social, she is with Brownie, Sasha and Lilly. 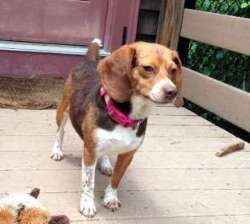 Jenae is a one year old female Beagle. Very sweet, calm personality. Gets along great with other dogs. Very friendly with people. Good on a leash. Likes going for walks. She seems to weigh around 20 lbs. 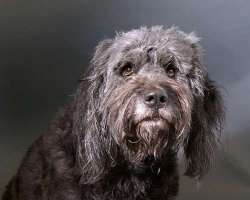 Jezzy is a 2 year old Old English Sheepdog mix who answers to Boo Bear. She could have some Bearded Collie, but des shed . She is housebroken and crate trained. Loves kids, people friendly and does well with other dogs. Owner losing home, divorcing, and can't take her. she is good in the car and likes going for walks. She plays with toys. You can tell her to "go to jail" and she runs and gets in her crate. She expects a treat for doing this. Very sweet. Great on a leash. Weighs 50 lbs. 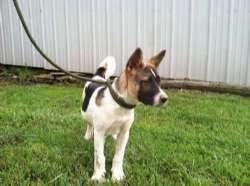 Koontz is a Fuzzy 3 month old puppy available for adoption as of Sunday, July 19th. We think the Mom is Shelly. Puppy adopters need to be a stay at home or work from home family or alternating schedules as pups need time, attention, and training. Families with children 12 and under require a fenced in yard so the pup can play off leash with the children and be safe. The terrier breed is not generally recommended for young children so please read up on the Airedale breed as they could be Airedale or Irish Terrier. Koontz is the smallest of the black/white pups. We don't think he is related to the others, but belongs to Shelly. 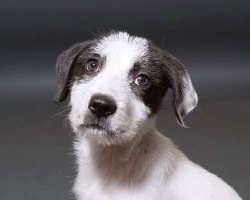 Lovie is a 3 month old Fuzzy mixed breed pup who came in with a group of pups from Indiana. She is available for adoption as of Sunday, July 19th. Puppy adopters need to be a stay at home or work from home family or alternating schedules as pups need time, attention, and training. Families with children 12 and under require a fenced in yard so the pup can play off leash with the children and be safe. Lulu is a 4.5 month old playful yellow Lab pup whose family was moving. She was raised with little children but is at the mouthy stage so will be best with tweens and up. 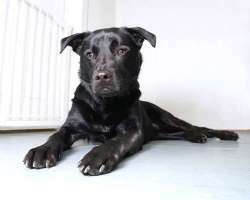 She is very affectionate and loving and will do well with the right training. She is working on housetraining and is almost there. Lulu will be at Meet and Greets this weekend. Momma is a sweet female who must have had puppies. She is a shy but loves people. this adorable girl deserves a home of her own. A quiet home would be best for her. Kids 10 plus. She weighs 27 lbs so is a nice size for apartment or condo or house. She will be spayed shown at our Meet and Greets this weekend. Piper is adopted! Piper weighs 10 pounds. She is very good with small dogs, puppies and cats. She does very nicely on leash and enjoys long walks. She is a very loving little girl. She is in a foster home now and her foster mom says she is the perfect little angel and sleeps in her crate at night without a peep. She does her business outside and she's great with the other little dogs in the house hold. She loves to go in the car but should be restrained as she likes to be on your lap. In her crate she likes a blanket to snuggle into. Kids 10+ is best. 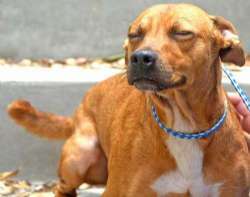 Please apply at www.saveadog.org, and we're happy to make a private appointment for you to meet her. You won't be disappointed. She's spayed and up to date on vaccines, but is little so we advise not to overdo it with chemicals. 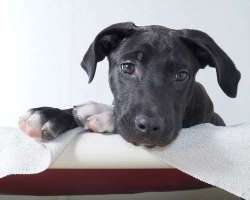 A holistic-minded adopter will ensure she has a long life. 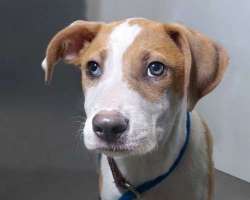 Reno is a 3 month Lab mix who is sweet and adorable. Puppy adopters need to be a stay at home or work from home family or alternating schedules as pups need time, attention, and training. Families with children 12 and under require a fenced in yard so the pup can play off leash with the children and be safe. 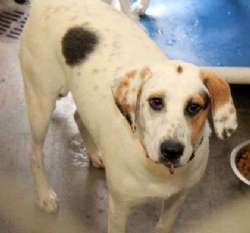 Rocky is a gentle giant of a dog, and all she wants is someone to hug and snuggle with her! She came from a shelter where there was simply no room for her. She came to them as a stray and is VERY thin, so we are assuming that she may have been on her own for quite some time. Rocky loves everyone she meets and has never met a stranger she didn't like. When she knows she is about to get a little bit of attention her big brown eyes just light up and she will walk over and bury her head in your lap and wait for a pat on the head. Rocky is looking for an awesome new home where she can have a full belly and a full heart forever! 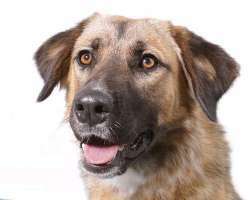 Sadie is a beautiful 2 year old Shepherd/Great Pyrennes mix who loves her people. True to the Shepherd/Pyr breed she has protective tendencies and would be best with someone who knows and understands the breed. Sadie is an incredibly affectionate dog who loves to snuggle. She loves nothing more than leaning into you and getting lots of attention. She is so smart! With a little training she will be a star! She loves to run around outside but happy to relax with you on the couch inside. She can jump a 5 ft fence. She is super smart. She will watch your back. Sadie will form a special bond with her owner and will love you absolutely. 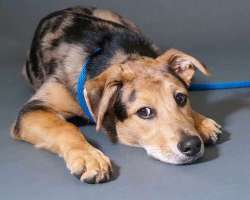 Sasha is a 5-6 month old Aussie/Catahoula mix. Beautiful girl. Very sweet. Does great with other dogs and loves people. Great with kids and loves to play and run. Calm nature and playful. Weighs 25 lbs. 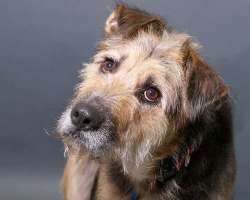 Shelly is a 2 1/2 yr old Fuzzy Terrier mix. She could be an Airedale or Irish terrier. We're not sure. She could have some Shepherd as she has the black saddle (Airedales do too). She is very sweet and has a calm personality. Good with other dogs. Good with people. Housebroken. Excellent on a leash, never pulls or tugs. Mom of six - 10 week old puppies who are with her now. Shelly weighs 55 lbs. 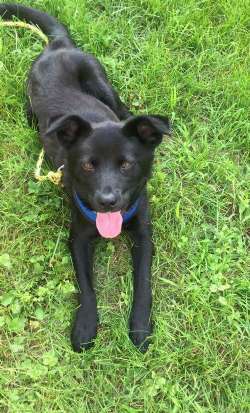 Shiloh is a one year old spayed female mixed breed dog who is happy and playful. 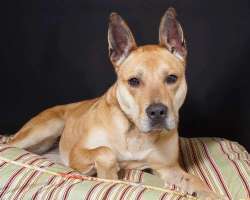 She is a local dog who was raised from a pup in a family and is great with children and sweet with the baby. That said, she is an active, energetic young dog who needs good exercise (in addition to playing with children). She is crate trained and house trained and she loves car rides. She likes to be with her people and will dig out of a fenced in yard if she is left outside alone. Please be someone who has the time to give her the attention and training she needs. The rewards will be endless! Stryker is a big, sweet puppy who was purchased from a breeder by a young man who just didn't realize what real responsibility owning a dog is. He is an adorable bundle of energy. He is still jumpy so would be best with kids in their teens and up. He is ready for a forever home. He is a true beauty inside and out. He will be at our Tuesday Meet and Greet 3-6 pm and Sunday 12-3 this week. 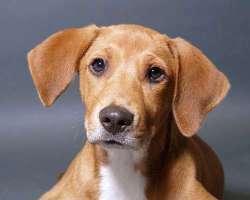 Taylor is a 7 month old retriever pup who was born in KY and like many dogs she became homeless. She is a sweet pup. She is spayed and is available for adoption! 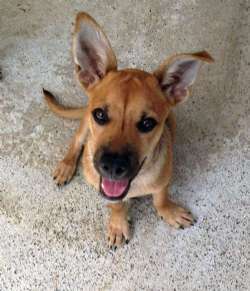 She is Playful, very friendly girl, approaching and wagging to all. Would love to go to a training class and liked to play with other dogs too. Active and fun. She is ADORABLE! Come meet Tonto a playful friendly pup! She loves to play with Norris, the Retriever, and other dogs. She likes to snuggle and have fun outside too. She is 10 months old, about 38 lbs and will get a bit bigger at maturity. She loves toys and especially likes to pick out her own toys from the toy bin. In a new home she is nervous at first, but acclimates quickly to the household and is a fast learner. She is learning stairs and will run up and down short steps but is not sure about steep stairs just yet. Good with cats and kids. Zuri is a sweet and fun girl who has never met a stranger she didn't like! She loves to run and play but also enjoys snuggling when she's worn out! Zuri was surrendered by her owner because their living arrangements had changed and they were forced to surrender one of their multiple pets. 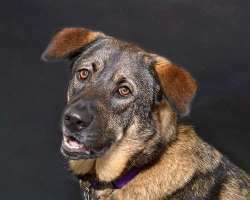 Zuri is very well socialized, HOUSEBROKEN, crate trained, and gentle. She has been raised around children from 2 years and up and seems to do well with everyone! Zuri loves her room mates here at the shelter and we think that she would enjoy going to a home with another dog, although that won't be required. 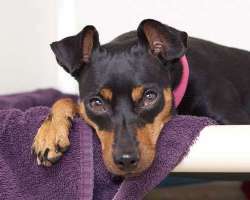 She is looking for a home with someone who can give her plenty of exercise and attention to keep her happy and healthy. She will be at our Tuesday Meet and Greet 3-6 pm and Sunday 12-3 this week.